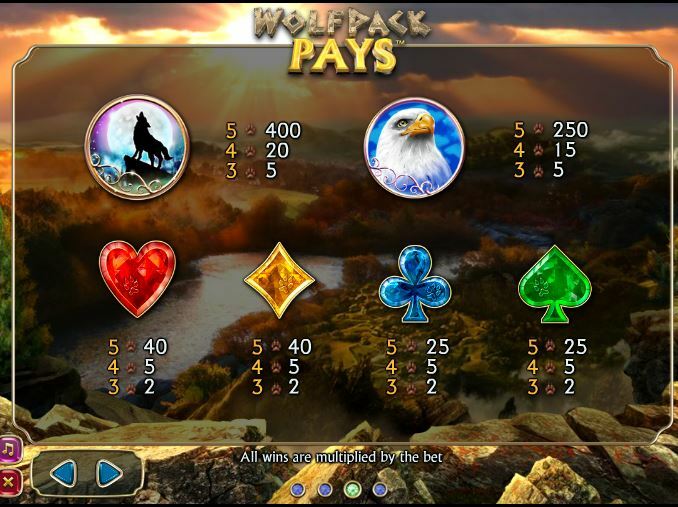 Wolfpack Pays slot was developed by NextGen gaming and has 243 ways over 5 reels. 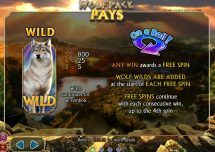 The theme is the wild wolf himself and the game has a low volatility similar to Monster Wins slot. 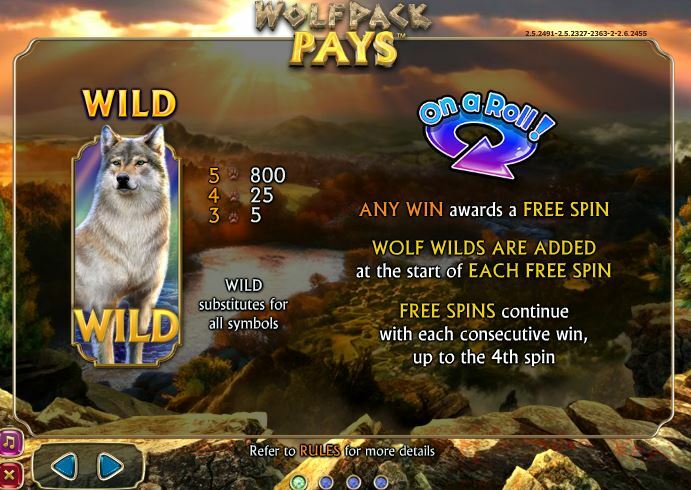 During the game there are no Wilds until you hit any win – then you get a free spins with Wilds added. 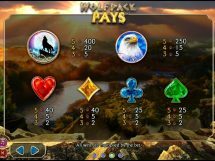 Should you get 4 consecutive wins this way then the free games bonus starts. You get 3 wolf paws and lose one for every non-winning spin. 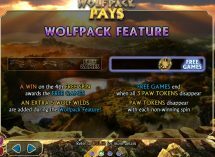 The enhancement is that an extra 5 Wolf Wilds are added to the reels to dramatically increase the chance of wins. 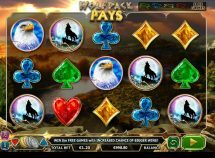 RTP is a high 97.76%.